Sandbox already operates virtual reality centers in around six cities, including California, San Mateo, Hong Kong, and Vancouver. 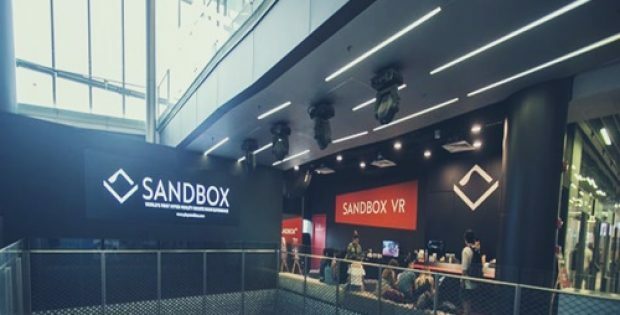 Sandbox VR, a virtual reality startup based in Hong Kong, has reportedly raised $68 million in a Series A funding round from Floodgate Ventures, Andreesen Horowitz, Stanford University, CRCM, Triplepoint Capital, & Alibaba. As per reliable sources, the firm intends to use this funding to launch new virtual reality centers in Tokyo, New York, and at other cities. Presently, Sandbox operates virtual reality centers in around six cities, including California, San Mateo, Hong Kong, and Vancouver, where the company offers players the opportunity to freely explore a stage and play together for fighting zombies, undead pirates, and aliens. As per an official blog post released by the company, Sandbox believes that this new medium does not represent something related to a more immersive game or perhaps even better movies. It is apparently an altogether different domain, and the company, as a part of the expanding VR industry, will need to harness the best of both – the gaming and movie mediums, the post stated further. Echoing similar sentiments, Andrew Chen, General Partner, Andreesen Horowitz, claimed that once the ecosystem around Sandbox starts accomplishing critical mass, the firm expects that the technology will unlock an all-new era of storytelling & interactive, immersive entertainment. A part of these entertainment aspects will resemble film, gaming, while many others may resemble documentaries and music, in tandem with numerous other virtual reality genres that are still to see the light of the day. For the record, Sandbox VR is one of the startups that is looking forward to bringing forth ticketed virtual reality experience in malls & movie theatres. Other companies working toward this goal include The Void, that has joined hands with Disney and others for high-profile franchise content.